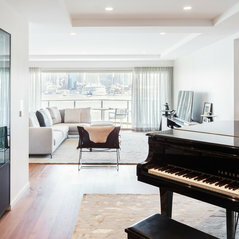 Established in 2009, Studio Quarters is a Sydney‐based boutique interior design firm, specialising in residential design. Our approach to each project is to create spaces that clients love to live in. We believe that each home should reflect the client’s tastes, character and lifestyle. 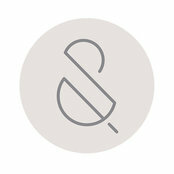 That means designing homes that are timeless, not trend‐driven; quality, not disposable; comfortable, not contrived. Theresa Chan and Janice Chenchow are university qualified Interior Designers who worked for award-winning Architectural and Interior Design companies before establishing Studio Quarters. 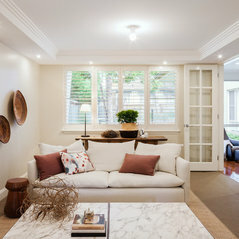 We love to create refined homes that make life easier, more comfortable and enjoyable for clients. We bring a great eye for detail, a meticulous method, and a friendly approach to all our client's homes. Commented: Basin and tapsThe basins are Omvivo. Certain models are available through Reece. The taps are Astra Walker. Commented: Before and after - Property stylingDefinitely a massive change! 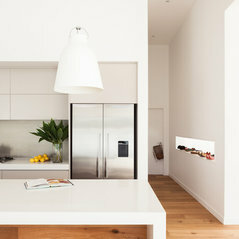 Commented: Narrow Cabinet Transformation - Easy Access To An Existing CabinetLove the spice drawer. So easy to access. 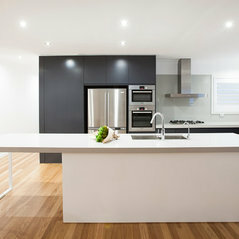 Commented: Before and after photos of a Townsville cottageGreat transformation - thanks for sharing!